Photographing gels is an important step in research projects that involve any kind of visual or quantitative DNA analysis by electrophoresis. Decent gel imaging requires a fairly simple set-up of a light-tight box with a transilluminator, camera and suitable filters. In research, teaching or DIYBio labs, finding a suitable light-tight box can be the most challenging part of this set-up. 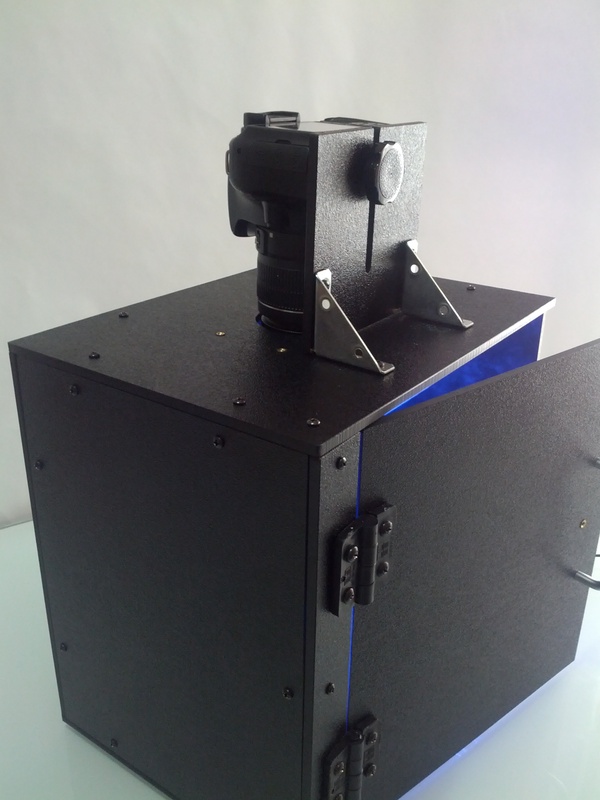 We have designed a simple and cheap imaging enclosure (i.e. light-tight box) which works really well for imaging gels with transilluminators. The enclosure is made from machined 0.25" thick black ABS parts (design files are open source and on our Bitbucket page). The interior includes mounting for a transilluminator and filters. 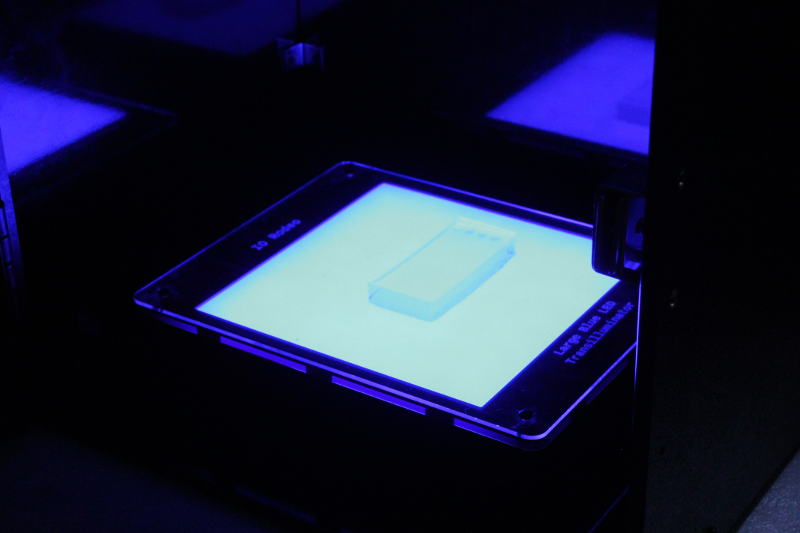 The same imaging enclosure can be used with either a mounted camera or a smartphone by changing the top of the enclosure. The top panel includes a mounting bracket for a DSLR camera (we use a Canon Rebel T3) and a 73 mm viewing hole. This is the exact same enclosure as the one above except that the top panel has a smaller 12 mm viewing hole and no mounting hardware. Below is an image of a small gel on one of the large blue LED transilluminators. 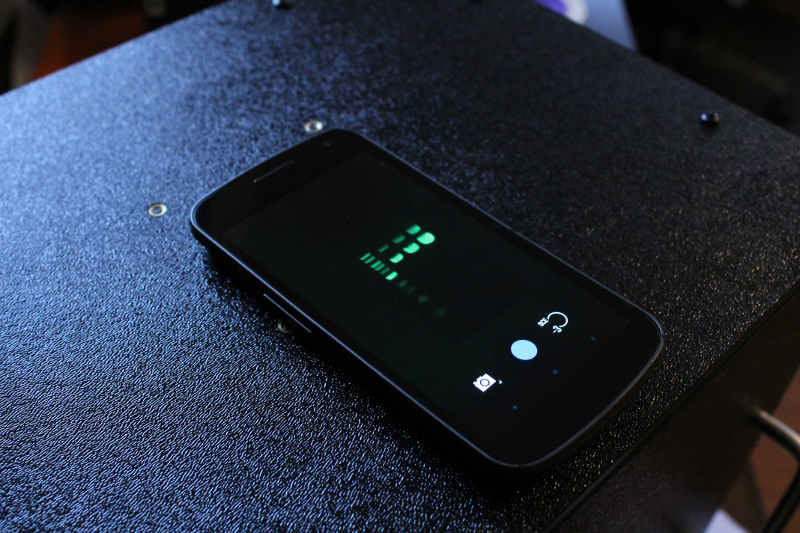 DNA samples were: 1 Kb ladder with 50, 100, 200 ng of DNA. 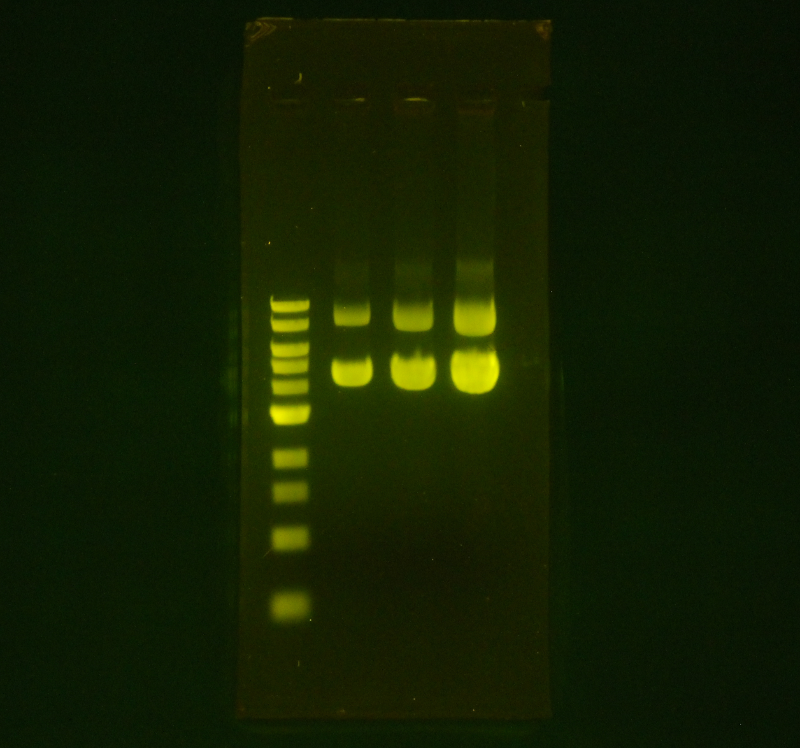 The gel was post-stained with GreenView gel stain. An amber filter is mounted in the enclosure. The imaging enclosure will be sold as an easy to assemble kit with all of the parts and online build instructions. 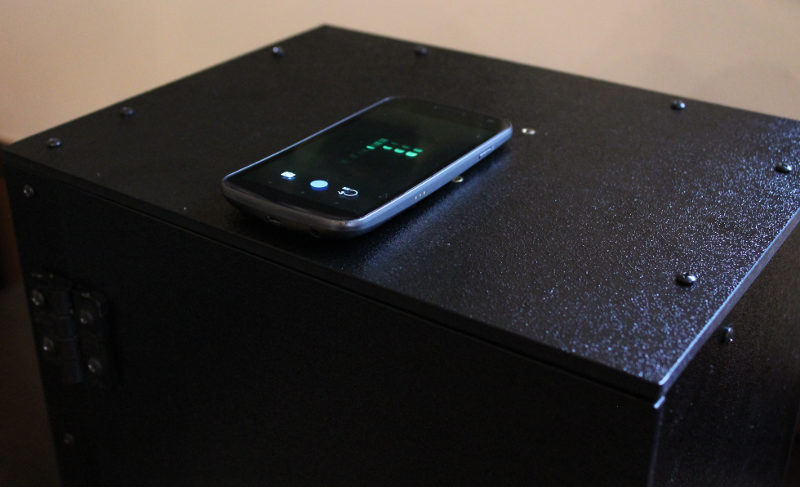 Cost of the kit is $150 for the smartphone version or $160 for the enclosure with camera mounting hardware. The imaging enclosure can be used with any of our LED transilluminators or you can use your own if you already have one that will fit inside the enclosure. The inside dimensions are 12 x 9.25 x 12 inches.